There is a lot happening in the world of 3D printing right now—from new 3D printers and materials to game-changing partnerships. And if you’ve browsed the virtual aisles of Thingiverse lately, you probably know exactly what we’re talking about. 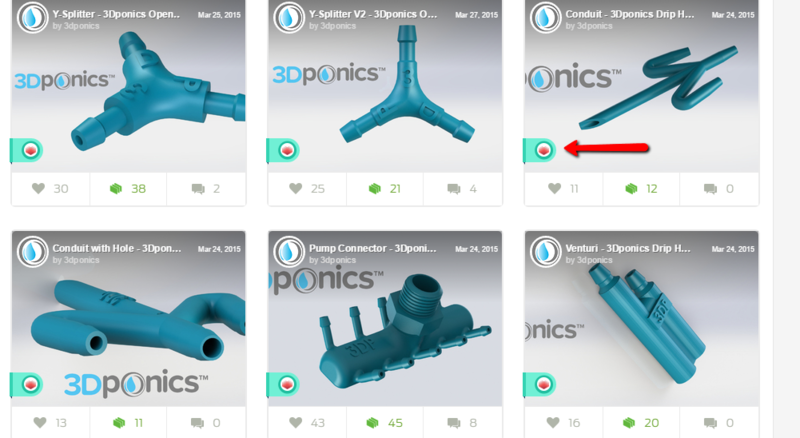 Chances are, you’ve noticed some changes–namely, a small turquoise 3D Hubs logo hovering over certain Thingiverse 3D models. The significance of this little flag is huge. Basically, it means that you can 3D print any object directly from Thingiverse with just one click. By tapping into the enormous 3D Hubs network of 3D printers (which, to date, has over 16,000 members in 140 countries all over the world), you can get objects printed faster and cheaper than ever before. For the time being, this 3D Hubs-Thingiverse collaboration is enabled only for a select number of Thingiverse designers. 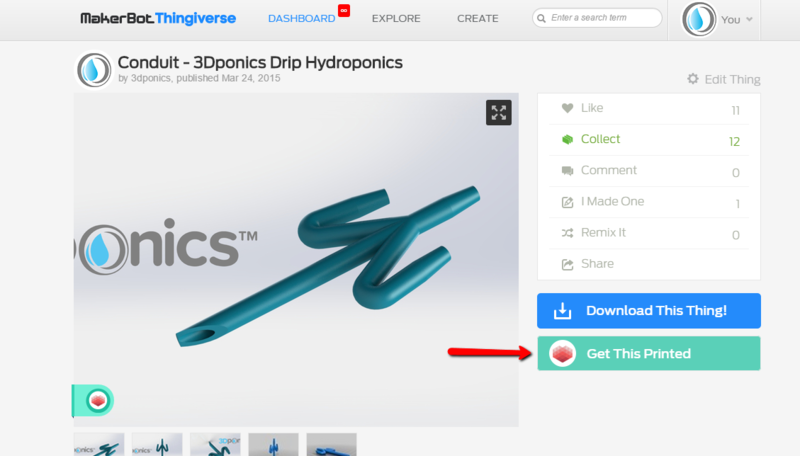 Luckily, 3Dponics just so happens to be one of them, which means you can now order parts for your hydroponics garden directly through Thingiverse, by clicking on the built-in Get This Printed button. Print parts with one click! This latest 3D-printing power duo is taking all the right steps towards increasing access to a still fairly new technology, and we’re excited to see what happens next (like the release of the 3D Hubs API). 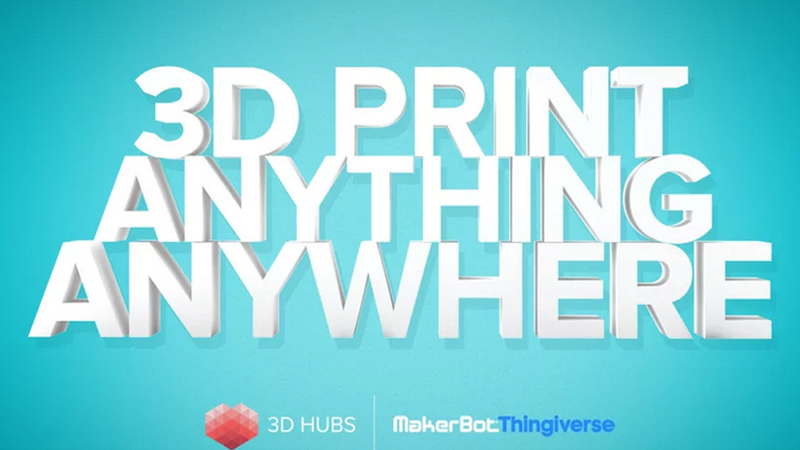 Can’t wait for 3D Hubs API to be released!